Funerals must exit the cemetery by 11:30 am on Saturdays. 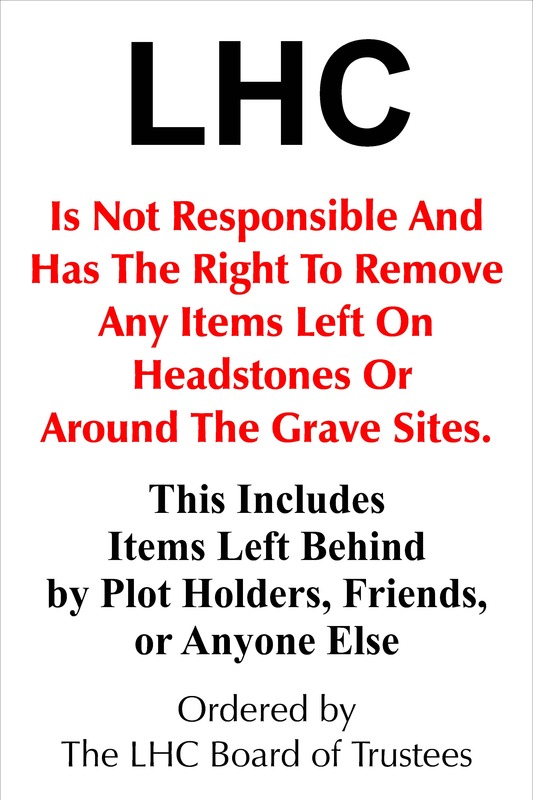 Visitors:	Cemetery is open 24 hours a day/7 days a week. The gates are never shut, however, we do not advise visiting after dark. Cemetery is patrolled by police. 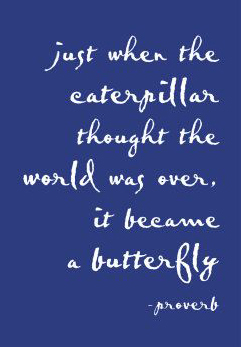 For many of us, it is difficult to think about death, and even more difficult to talk about it. Thank you for visiting our new website. We hope you will find the information on these pages helpful to you during these difficult times of losing a loved one. Of course, we can't have all the answers, but we will do our very best to find the answer to your special needs and questions with respect and kindness. 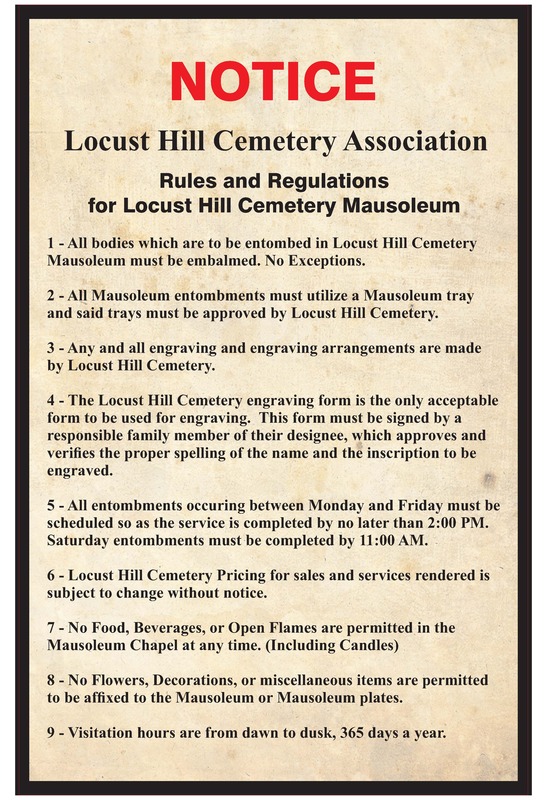 Please feel free to contact us, either by phone at 973-366-0038, or go to our Contact Page and email us at Locust Hill Cemetery. Need help during this difficult time? A cemetery is the place where the dead are buried or interred — a "final resting place" for the deceased. Locust Hill Cemetery offers various types of grave spaces for earth burial and mausoleum crypts for entombment. Similar options are available for burial or entombment of cremated remains. Whether your choice is a simple, individual marker or a family plot marker, we can guide you to local vendors to make a lasting memory for your loved one. At Locust Hill Cemetery, we take pride in Serving Families of all Faiths. Please contact us to see how we can accommodate your special needs now and in the future. 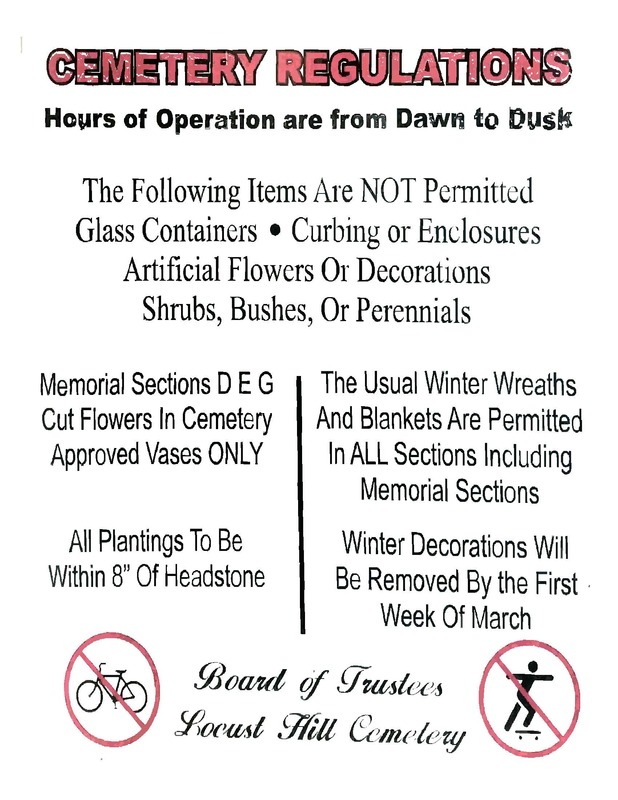 General care is given to all parts of the Cemetery: grass is cut on a regular schedule, paths and gardens are maintained, and sunken graves are filled, leveled and seeded as part of the Cemetery’s routine upkeep.